A few months ago I was at a networking event when I ran into an acquaintance. He told me about some struggles he had recently encountered with a logo design that he was creating for his website. When he printed his design, the colors were all off and someone told him it was because the design was in RGB and not CMYK. He wanted to know if this was true and what all those letters meant. I explained everything to him, but this conversation made me realize that there are many people who don’t know what the acronyms RGB and CMYK stand for. 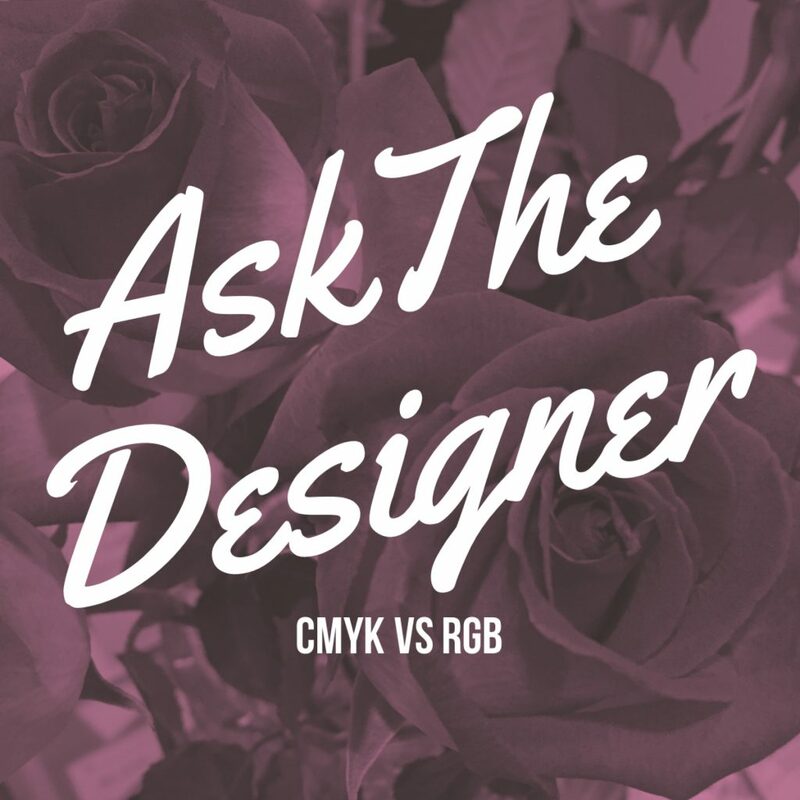 As a graphic designer in Orange County this knowledge is an integral part of my daily work, and so I would like to share with you a quick overview of CMYK vs RGB and how they are used in graphic design. CMYK is a color model used in the printing process. If you’ve ever heard of 4-color process printing, this is the color model it uses. In its most simple terms, a color model is the way that colors are created.For printing and all things ink related, the CMYK color model is used. The letters stand for each of the principal ink colors used. The C stands for Cyan, M for Magenta, Y for Yellow and K for Black. RGB is a color model used with digital devices such as computers, projectors, and televisions. The letters stand for each of the main colors of light used; R for Red, G for Green and B for Blue. This color model mixes these three different colors of light to create all of the colors that are needed for a project. Pretty much anything you see on the Internet is going to be using the RGB color model. There are two main differences between the two color models. The first is that CMYK uses ink and is for printing, while RGB uses light and is usually used exclusively for digital devices. The second, less obvious, difference is that RGB is additive while CMYK is subtractive. Additive color starts with black and adds red, green, and blue until you get to white. Subtractive color starts with white and removes cyan, magenta, and yellow until we get to black. If you have something created for a digital device in RGB and then decide to print it, the colors will be way off. If you use designs created in CMYK to publish online or use on a digital device, the colors will look okay, but may not show the deep color shades that they otherwise would. It’s always a best practice to have your design created in the color space it’s going to be used in. As a graphic designer in Orange County, I always discuss my clients’ plans for their designs with them in detail so I can make sure it is in the correct color space. Colors are a powerful part of any design, whether it’s for a company logo, a wedding invitation, or a simple birthday card. If you’re looking for a colorful design of your own, please contact me today!